– Tourism 2020 strategy – Tourism Australia. 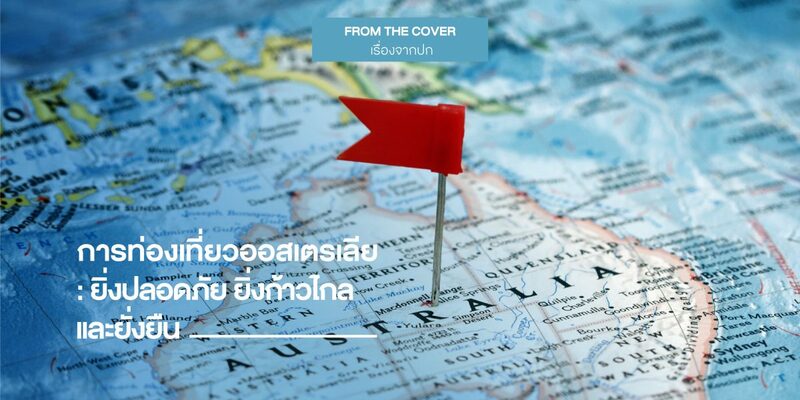 – The National Tourism Incident Communication Plan – Austrade. – Don’t Risk It – A guide to assist Regional Tourism Organisations to prepare, respond and recover from a crisis. – Safety and security is Australian tourism’s main strength in an uncertain world. News Corp Australia Network. JULY 27, 2016. เรื่องโดย : ชญานิน วังซ้าย พนักงานวางแผน 6 กองวิจัยการตลาด ททท.